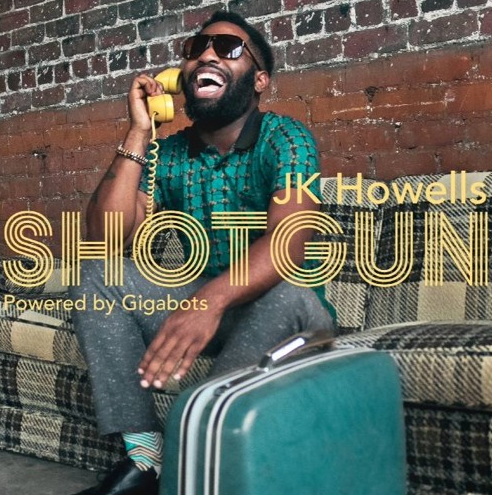 JK Howells is a name making it's rounds in Atlanta as a new artist to get into. Fresh off of one of the best shows I've ever been to, the southern boy is releasing his brand new EP My New Journey in a few days!! The anticipation is crazy. First up off of the EP is Shotgun-a refreshing record with an old school swag. Shotgun feels just like a throwback record or dusty as we call them back home. In the song Howells reflects on what it's like to enjoy the company of the lady he loves in his new ride. He shouts out his Grandma for raising him right too, which is always in order. Shotgun was co-written by The Whatley one half of the super dope production theam the Gigabots. They are the duo responsible for producing the EP, and so much of the music coming out of Atlanta for Indy artists right now. In addition to simply being a fan of JK's music, I'm also honored that for this EP, he recorded a song I wrote entitled, Restart. It was a crowd favorite at his show, and hopefully you all will love it as well. This guy is incredible, and this EP is equally great. Get into JK's new single Shotgun below, and stay tuned for the full My New Journey EP!